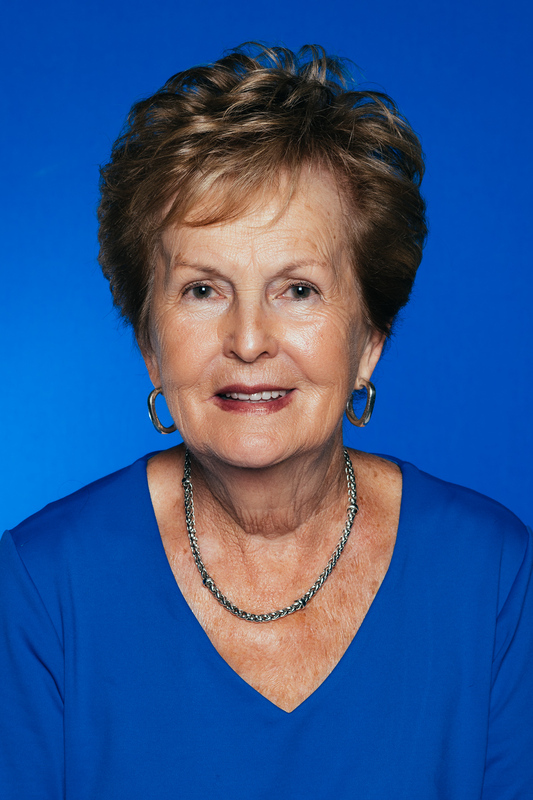 Indiana State University alumna Lois "Jo" Einstandig has pledged $250,000 to support the university's need-based Bridge the Gap scholarship campaign. Finances -- not academics -- are often the reason students drop out of college. Bridge the Gap scholarships provide the funding students need between the financial resources they have (financial aid, family contributions, etc.) and their full cost of attendance. "When I learned about the financial hardships many motivated students face, it struck me as really unfortunate -- for people to want to be educated and not to have the resources," said Einstandig of Terre Haute. "If young people are wanting to learn, let's give them the resources to do that. Everyone deserves the opportunity to earn an education." Einstandig gave a lead gift of $50,000 with a pledge to give $250,000 total over the next five years. "Jo Einstandig is the matriarch of our Sycamore family," said Andrea Angel, vice president for the Division of University Advancement and CEO of the ISU Foundation. "Her commitment to students exemplifies the true meaning of being a Sycamore. Her lead gift to the Bridge the Gap scholarship campaign has inspired others to give and join Jo in educating the next generation of leaders." Einstandig, '61, GR '67, received both of her elementary education degrees from Indiana State. She was employed with the Vigo County School Corp. She also served as vice president for Jebb's Inc. for 20 years and vice president of Jelba Inc. in Terre Haute. The Bridge the Gap initiative resonated with Einstandig because she recalls living on a strict budget while earning her degrees. "I worked and went to school while I was earning my degrees. I was able to graduate without taking out any loans," she said. "I think that's why I'm a little generous. I've lived through that, and I think you should help where you can, if you have the resources to do so." In 2018, the ISU Alumni Association honored Einstandig with the Distinguished Alumni Award. She and her late husband, Jerry, received the Distinguished Service Award honoring their philanthropy to the university in 1997. They were co-chairs of the President's Scholars Golf Outing committee to support student scholarships. As a co-founder of the Ladies Tee to help raise funds for female student-athletes at Indiana State, Einstandig has served on the committee since the event's founding more than 10 years ago. She is also involved with the ISU Foundation Board, President's Society, Book and Torch Society and Alumni Council. "The university gave so much to me. Even though Jerry didn't go to Indiana State, we both felt like we needed to give back," she said. "Indiana State means everything to me. I'm in the position I am today because of Indiana State." Einstandig serves with the Union Hospital Foundation, Wabash Valley Community Foundation, Delta Gamma Sorority, 100 Women Who Care and P.E.O. She has obtained the secretary position and served on the committee for directors and board of governance for the ISU Foundation Board of Directors and Wabash Valley Community Foundation. Her past community service includes Children's Theater, League of Terre Haute, Leadership Terre Haute, Terre Haute Symphony and Tri Kappa. Jo Einstandig, '61, GR '67, gave a lead gift of $50,000 with a pledge to give $250,000 total over the next five years.